On October 16, 1914, a short speech, originally presented as an argument in a civil suit, was read into the Congressional Record by the Hon. Clement C. Dickenson, of Missouri. The speech had been delivered by George Graham Vest on behalf of a plaintiff seeking damages from a neighbor for killing his dog in a case entitled, Burden v. Hornsby, tried in a justice of the peace court in Warrensburg, Missouri, September 1870. 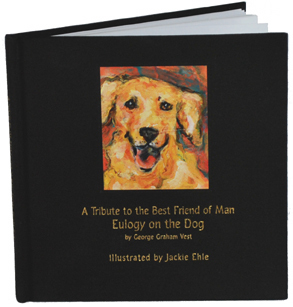 Vest's moving "Eulogy on the Dog" convinced the jury to decide for the plaintiff and became a classic tribute to man's best friend. This newly illustrated edition is a verbatim transcript of the text printed in the Congressional Record (October 16, 1914, vol. 51, Appendix, pp. 1235–36) beginning with an explanatory letter provided by John Finis Philips, Vest's law partner at the time of the case. 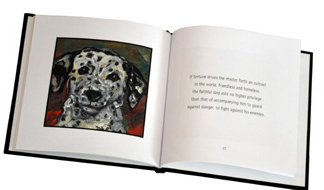 The illustrations were created in 2007 and 2008 especially for this printing by artist Jackie Ehle. 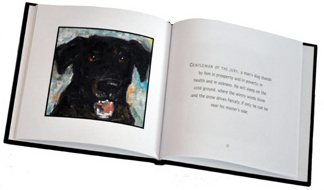 With her colorful brushstrokes and expressive style Jackie has captured anew the source of the friendship that Vest so famously described more than 130 years ago. 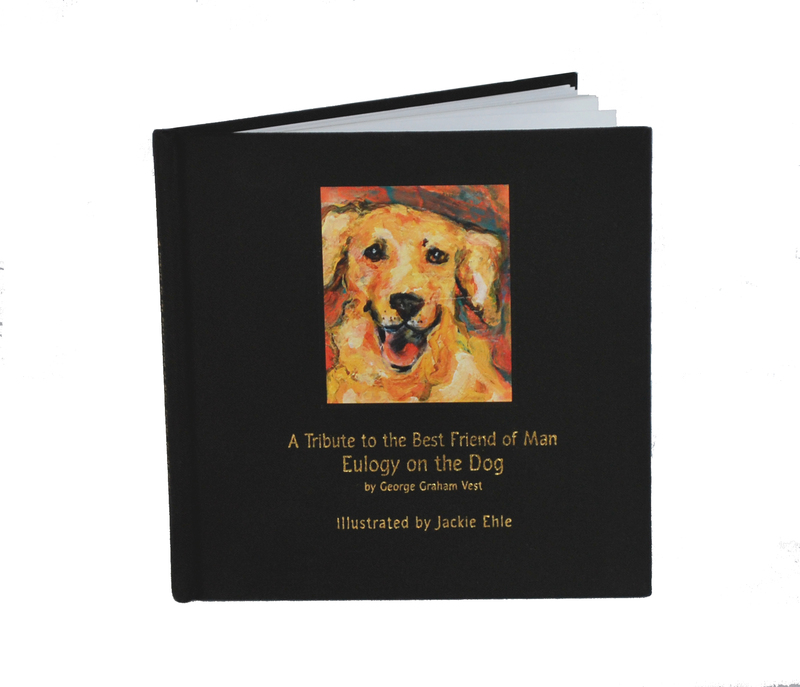 Jackie's dogs are of many shapes and sizes and live in a world very different from the one Old Drum knew, but they are the same devoted companions that inspired the famous speech. 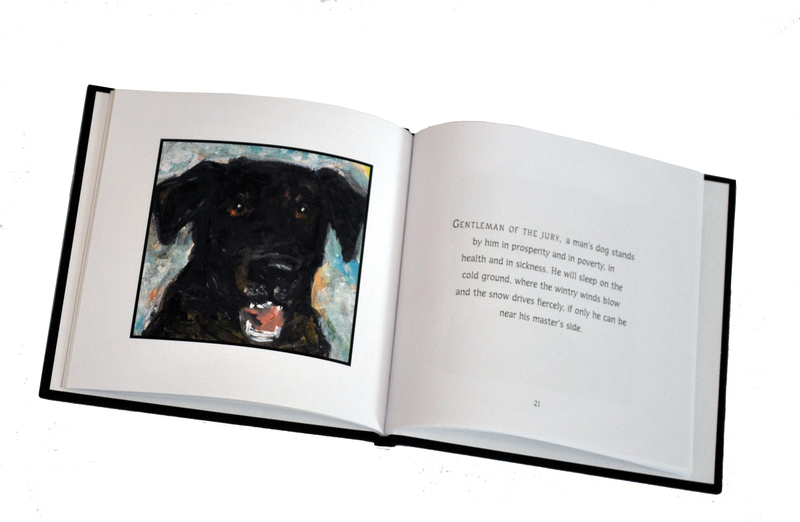 Jackie Ehle loves animals and music, combining the two in her art to create whimsical pet portraits and various other creations. Born New Orleans in 1968, Jackie attended high school in Alexandria, Virginia, and received her B.F.A. in painting and printmaking from Virginia Commonwealth University. Currently, she is a Resident Artist at the Torpedo Factory Art Center Alexandria, Virginia. 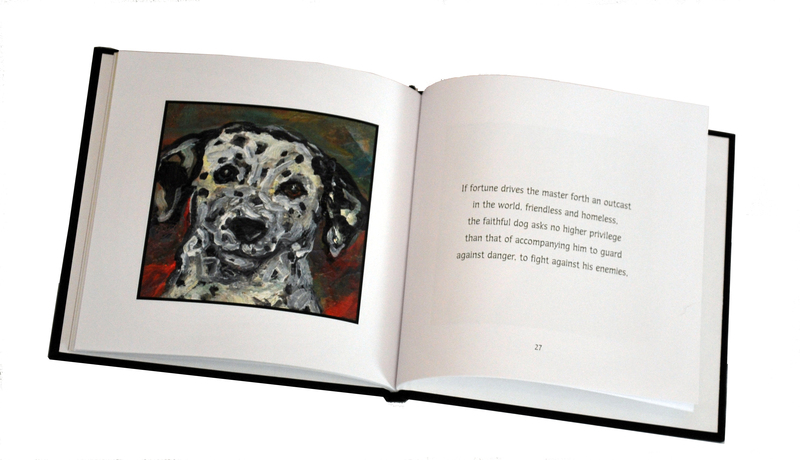 Her work has been exhibited in shows around the country.